Julian James – Silver Spade Tour may be the upcoming event you’re looking for. Everything about Julian James and his new album ‘Silver Spade’ shouts the love of traditional blues for all to hear. His style is rooted in the old-time acoustic strummers of a bygone era, and he joins next generation artists such as Larkin Poe, Blind Boy Paxton and Pokey LaFarge in bringing authentic new voices to a style that has endured for 100 years. Still in his twenties, Julian James has spent most of his adult life on the road, first as front man of Blues festival heroes ‘Catfish Voodoo’ and on his own. 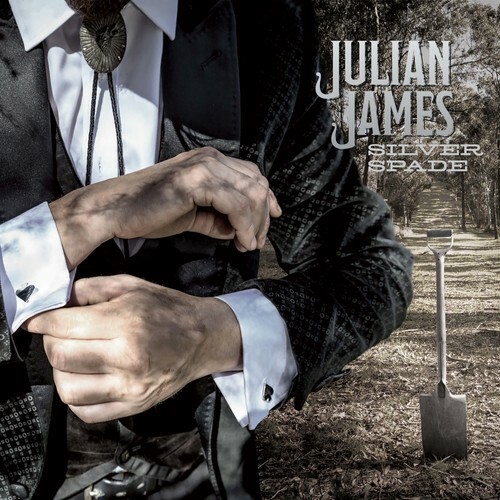 ‘Silver Spades’ is the second album in his catalogue as a solo artist and Julian brings the experience of a seasoned performer and a fresh perspective to this set of traditional songs by artists like Ma Rainey and early Muddy Waters, as well as originals like the title track Silver Spade. Tales of love, loss and debauchery from 2018 sit happily with their ancestors from the 1930’s as James deliver his laconic vintage drawl from some porch or other. "Catfish Voodoo played straight Chicago Blues, so I started with Muddy Waters, Howlin' Wolf, and Willie Dixon; and then when I went out solo, I just kept going back in time and discovering people like Mississippi John Hurt, Leadbelly, Son House and knew that’s what I wanted to do."